The Cochni Leopard Tall Dress Boots for Women is a popular dress boots that will make a wild statement in your work or going-out wardrobe. Trendy and comfortable boots with a stunning round toe, chunky suede high heel, and a full inside zip for an easier entry. 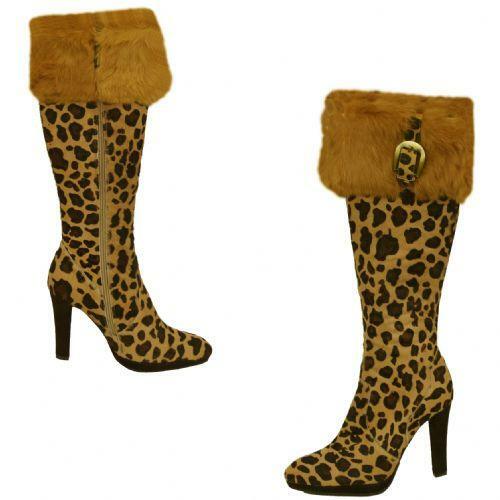 It will keep you nice and warm with the faux fur upper adorned with a buckle. Its timeless shape will prove to outwit all of those trendy boots out there because yours will never go out of style.